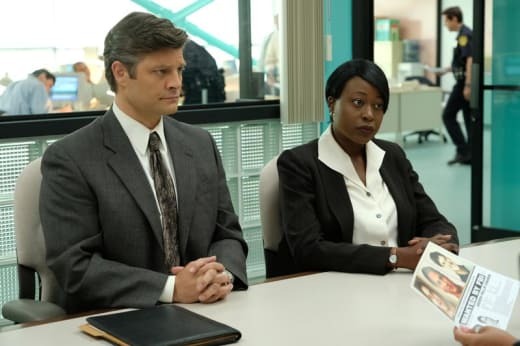 Since this series began with the murder of Gianni Versace, it was safe to assume that subsequent episodes would dive deeper into the events leading up to Andrew’s decision to murder the designer. As much as this is a show about Gianni and the Versace name, it’s also a deeper look into the murderous conman, Andrew Cunanan. 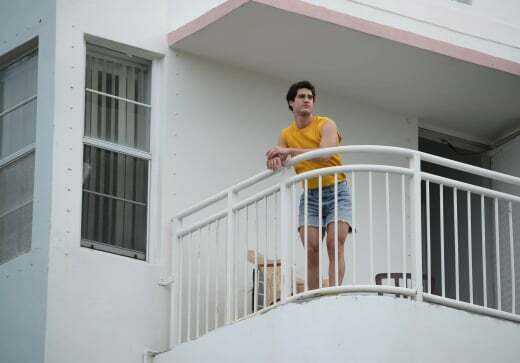 American Crime Story: Versace Season 1 Episode 2 doesn’t necessarily point us toward a motive or give us much insight into why Andrew committed any of the other murders before he landed in Miami, but it further shades in the serial killer and his obsession with Versace. We start off with the revelation that years before his death, Gianni Versace was very sick. HIV is very much implied but never explicitly stated. And Gianni was very much struggling with what he perceives as his imminent death. Spending a little more time with brother and sister Versace, they seem to view the world from two different perspectives. While Donatella may see the world as more black and white, Gianni sees a little bit of color everywhere. Penelope Cruz continues to shine as Donatella and seeing her interplay with Edgar Ramirez’s understated Versace is great. Since it’s pretty clear this show will be bouncing from year to year and timeline to timeline, I hope we'll get to see many more family interactions. Donatella, I get better everyday. Stronger. It's a miracle. Maybe one day I will tire of being thankful I'm alive. Maybe one day it won't seem like a miracle. And I will be able to produce a show as dark and as morbid as you desire. But until that day, life is special. Life is precious. And that is how I feel. We don’t learn how Gianni physically got better, but the Gianni we see in the weeks leading up to his death is as alive as any person could hope to be. He’s still creating, loving and enjoying the life and empire he has built. As if this story couldn’t get any sadder, we learn that shortly before his death, Antonio was ready to marry Gianni. Tiring of the club scene and after 15 plus years, all Antonio wanted was to be with Gianni. And him alone. I don't want that anymore. I want you, Gianni. I want to marry you. Permalink: I don't want that anymore. I want you, Gianni. I want to marry you. It’s hard to pinpoint what exactly Donatella dislikes about Antonio the most, but from what we’ve seen so far, it doesn’t feel justified. But, there is so much more to this story and this chapter, in particular, I’m sure. While Gianni continued to thrive, Andrew Cunanan was making his trek down to Miami to kill him. One of the most fascinating things about this case has always been that Andrew was a known serial killer at the time of the killing. And this series reminds you of that regularly, whether that be by a warning on the radio or a news clip on the television in the background of a scene. The flyers are not a priority for us. Permalink: The flyers are not a priority for us. What a disastrous mistake that will end up being. 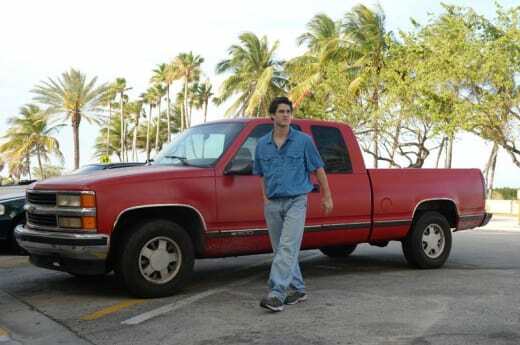 For weeks and weeks, Andrew Cunanan was just gallivanting around Miami like he wasn’t on America’s Most Wanted list. He was essentially hiding in plain sight, using his real name to pawn a gold coin and introducing himself to a junkie staying at the same hotel as him. How, exactly, does that happen? How does the one of the most dangerous men on the planet just waltz down Ocean Drive with a baseball cap on, checking into oceanfront hotels (albeit sleazy ones) and go to pawn shops unnoticed? There are numerous instances throughout this hour alone that Andrew Cunanan could have been captured before he could kill again. And it just brings into greater focus that image of the trunk full of Wanted posters in American Crime Story: The Assassination of Gianni Versace Season 1 Episode 1. The stage is being set for Gianni’s death, as Andrew begins to canvas Miami and stalk Casa Casuarina. He’s got a Versace shrine in his bathroom, and he continues to tell tales about their relationship that sound about as real as his sincerity. With so many characters and a revolving timeline, it’s hard to keep everything straight. If you look away for a moment and miss what year we’re in, you’re completely thrown off. It was okay for me during the premiere, but I found it to be a bit more troublesome here. To tell this story more in-depth and fairly, is it necessary to jump to three different times during an hour? I’m not sold on that just that. What I am sold on, however, is another intriguing hour that gives us an even deeper look into the events and people connected to the assassination of Gianni Versace. What did you guys think of “Manhunt”? Are you learning new things about the case? Do you like the disjointed timeline? Drop me a line in the comments so we can discuss! I am not a villain. And he is not a saint. Permalink: I am not a villain. And he is not a saint. Until that moment I always believed that if you get sick, you can also get better. Permalink: Until that moment I always believed that if you get sick, you can also get better.